Former Cameroon international Samuel Eto’o visited his former Barcelona teammates on Monday, offering his support to the team following their recent slump in form. 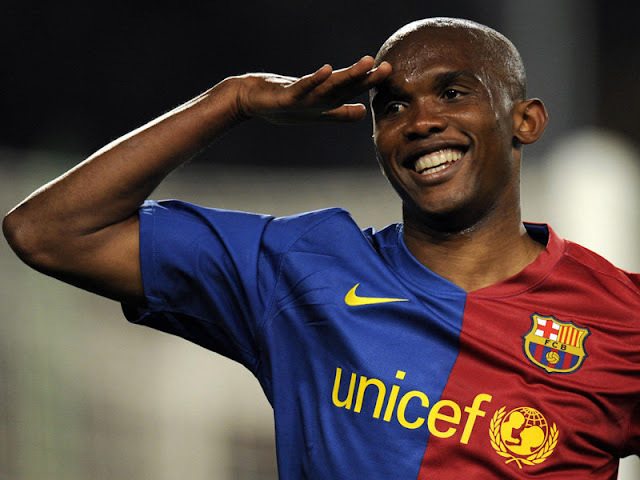 Eto’o – who spent five years at Barcelona from 2004 to 2009, winning three La Liga titles and two UEFA Champions Leagues – was a welcome visitor to La Masia. The former Barcelona striker posted a photo on his Instagram account which pictured him alongside former Barca teammates Lionel Messi and Andres Iniesta, as well as Brazilian Neymar. Barca have had a difficult week, suffering successive defeats in La Liga to Real Madrid and Valencia, while also falling out of the Champions League at the hands of Atletico Madrid to relinquish their European crown. Eto’o himself sparked controversy in Turkish football this past weekend when he scored a goal with his hand in Antalyaspor’s 4-2 win over Galatasaray.